While it’s only Tuesday, it feels like this week is already flying by. I’m back from a long weekend in Denver with my two best friends from college, Katie and Emily. With the three of us living in the south, midwest and west, we decided we should meet someplace none of us live and go on an actual vacation together for once. We try really hard to get together at least once a year, which is easier said than done when you’re trying to coordinate the schedules of three journalists. But, I’m so glad we were able to make the trip work. The weekend was equal parts adventurous and relaxing, which is just what all of us needed. To make the most of our quick reunion, we all opted to fly into Denver as early as possible Friday morning. That meant a 3 a.m. wakeup call for me, but it was so worth it to have extra time with the girls. I was in Denver before 8 a.m. and Katie and Emily arrived shortly after. We hopped in a cab and headed for our Airbnb in the popular Highlands neighborhood. Gina’s place was perfect for the three of us and so cozy! 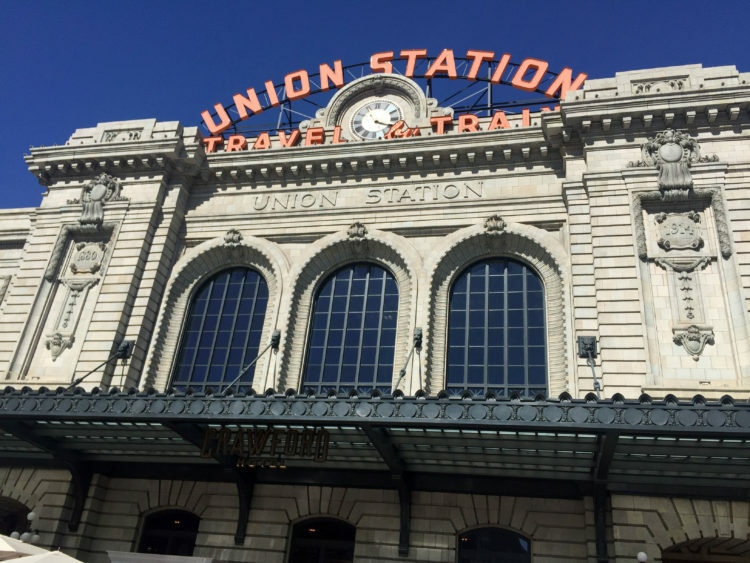 It’s just a few steps from several cute shops and restaurants and walkable to other hip areas of town, including LoHi and LoDo. We grabbed coffee and breakfast at the nearby Wooden Spoon Cafe & Bakery before vegging out for a couple of hours. 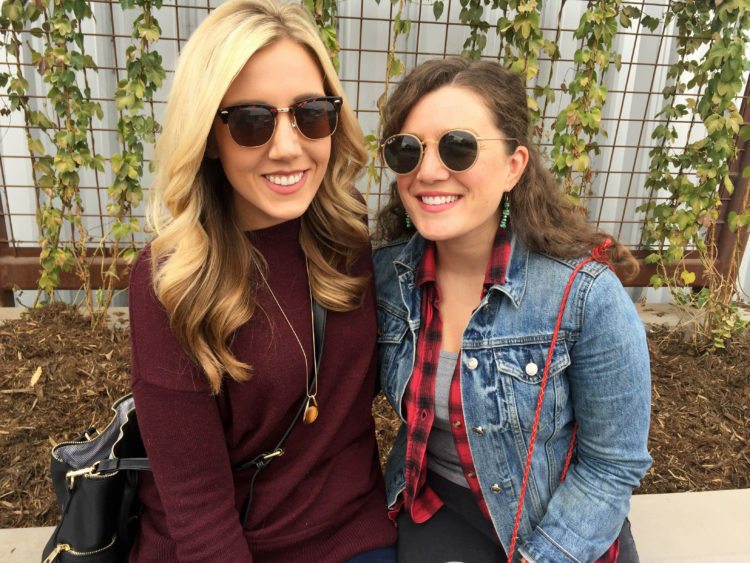 It was so fun to just sit around catching up — Katie recently got engaged and Em just finished her first year working for a newspaper in Wyoming, so we got a chance to get up to speed on all the exciting changes we’re all going through. After relaxing with some face masks for a bit, we got cleaned up and headed to Linger for dinner. Several friends and basically everyone on the internet recommended having dinner at this unique tapas restaurant, which has a rooftop bar and is located inside an old mortuary. We started off with some cocktails and decided to order just three dishes to start. We got the lemongrass potstickers, Waygu sliders and chicken satay salad, which was more than enough for our group! I snapped photos of all the food, but it was too dark for them to turn out well. 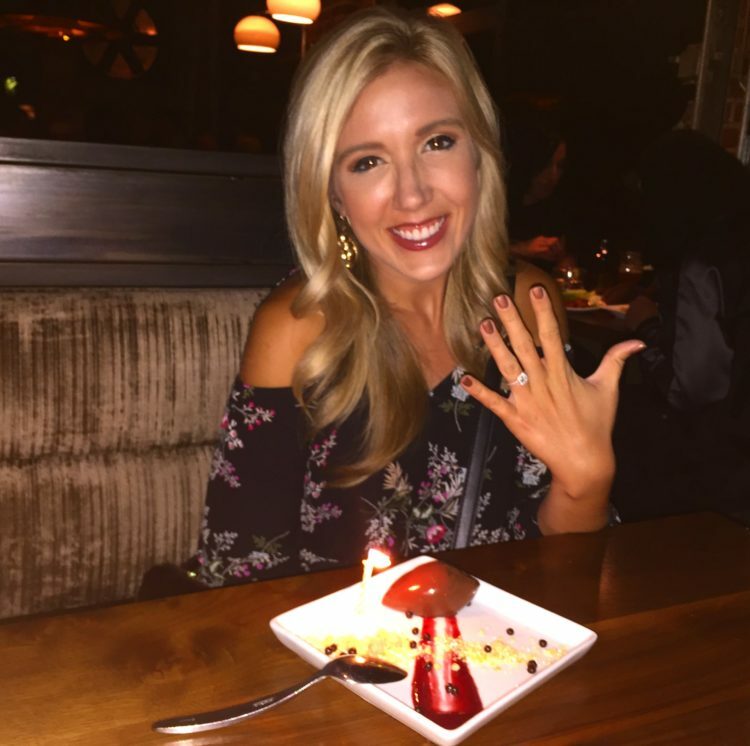 The dinner ended with a special surprise dessert for Katie to celebrate her engagement. We popped around to a couple of bars after dinner but ended up heading back to the apartment to spend the rest of the night drinking wine and laughing — our favorite activities. 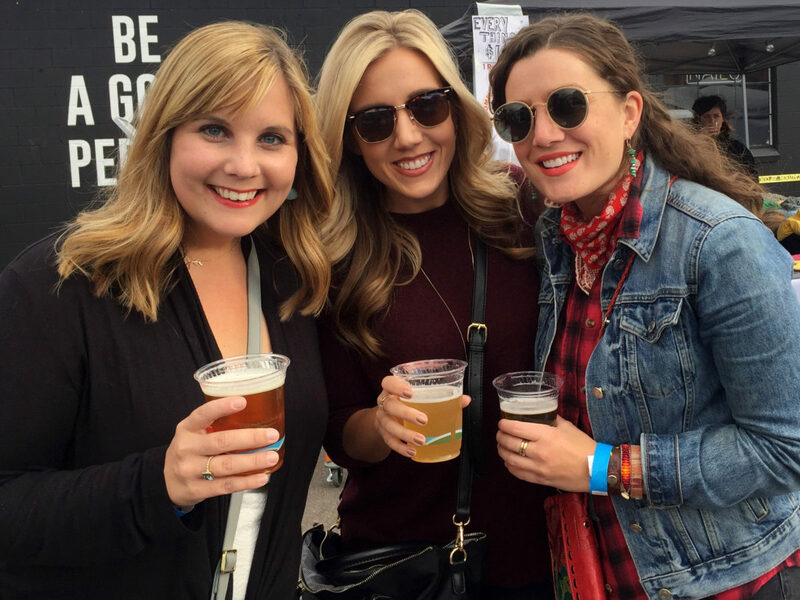 We decided to continue eating and drinking our way through the city on Saturday by heading over to Denver’s River North Arts District, which is home to lots of amazing local breweries. We started off at Crooked Stave, which is known for its great sours. We all got flights so we could sample a little bit of everything and my favorite was the Nightmare On Brett Raspberry. The bartender at Crooked Stave was super helpful and helped plot out our strategy for the rest of the day. Next up was Great Divide’s Barrel Bar, which was less crowded than the brewery’s downtown location when I visited earlier in the summer. Great Divide had our favorite beers of the day, hands down. While I usually go for a pint of Velvet Yeti anytime I can find it, I decided to give their Hazy IPA a try. I’m so glad this style is so popular right now because it’s quickly becoming my favorite! From Great Divide we walked over to a new pedestrian bridge, which helped us get over to Epic Brewing for more sampling. 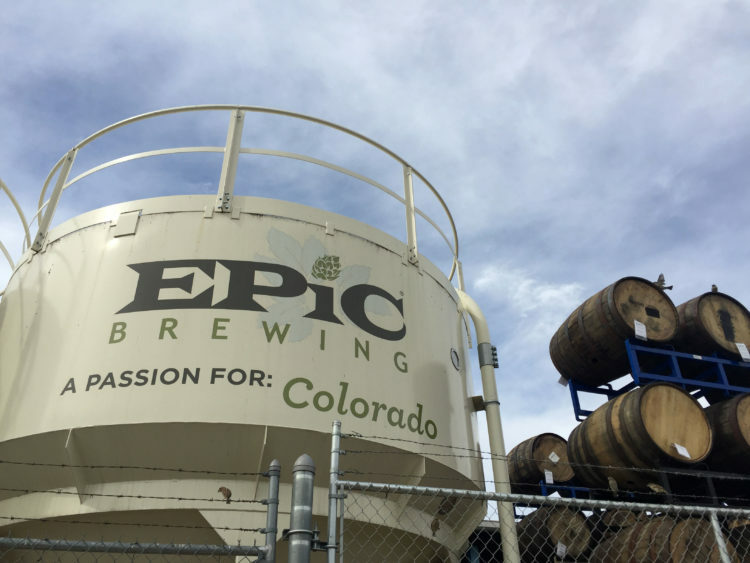 I wanted so badly to like Epic’s beer, but I was disappointed. I got the IPA flight and all three beers fell pretty flat for me. We did get some much-needed snacks while there and both the pretzel bites and spicy popcorn were a hit in our group. 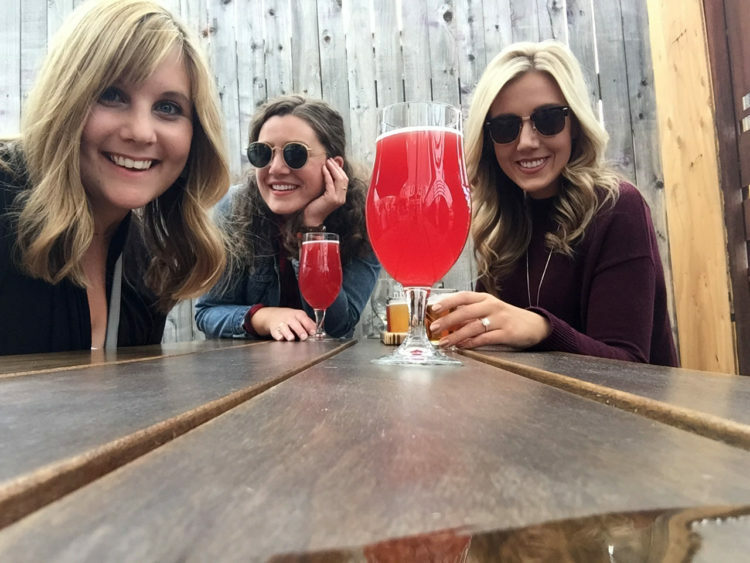 Not far from Epic is Ratio Beerworks, which has an awesome patio area and interesting tap list. 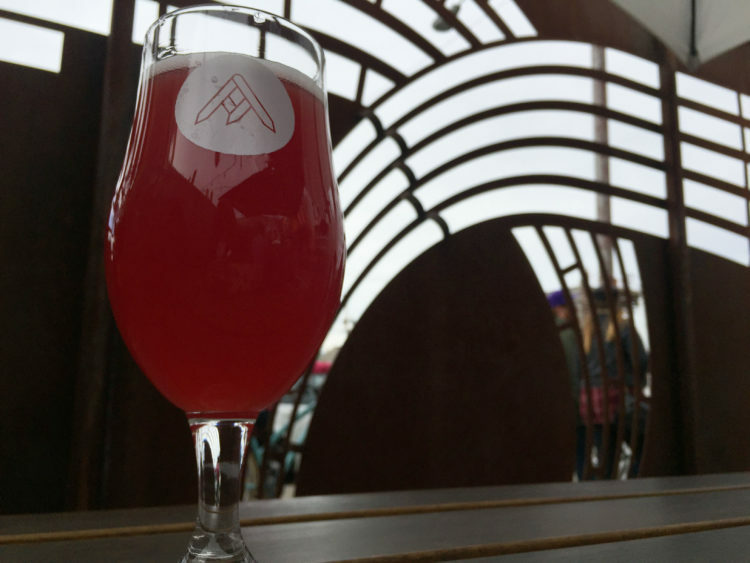 I tried the beet saison, which had a beautiful pink color and crisp flavor. I appreciated the unique flavor pairings and wish I could find this back in the Midwest! Our last stop of the day was Our Mutual Friend Brewing, which happened to be having its customer appreciation party. That meant the place was packed both inside and outside, but we didn’t mind the crowd when beers were being poured for $4! We had a great time taking advantage of the photo booth and hanging out for a couple of hours before deciding we needed some real food and an early night’s sleep. After two full days, we decided to spend Sunday morning just moseying around downtown Denver and taking in some sights. We stopped by Union Station, which is still a functioning train station but also houses a bar, restaurants and shops in the old indoor terminal. It’s such an amazing spot and I’m dying to go back to get a drink there sometime! We also walked around Larimer Square, which is an adorable block of historic buildings that have been converted into delicious restaurants and high-end stores. We were tiring quickly after doing so much walking all weekend, so we decided to make a quick stop at Little Man Ice Cream for a pick-me-up before retreating to the apartment to spend a few hours binge-watching Netflix. It was the perfect way to end the weekend because it felt just like we were back in college, lounging around at my old apartment on a Sunday afternoon. The weekend went by way too quickly and I was so sad to say goodbye to Katie and Em. While we may live in completely opposite parts of the country, our bond has only gotten stronger since college. I’m so glad we have plenty of wedding activities for Katie that will bring the three of us together more often over the next year. And, we’ve decided we need to make a weekend girls’ getaway an annual tradition! So, where should we go next?